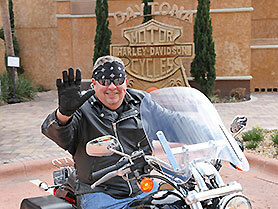 The classic motorcycle tour through Florida: Experience the Sunshine State during our 11 day Guided motorcycle tour. 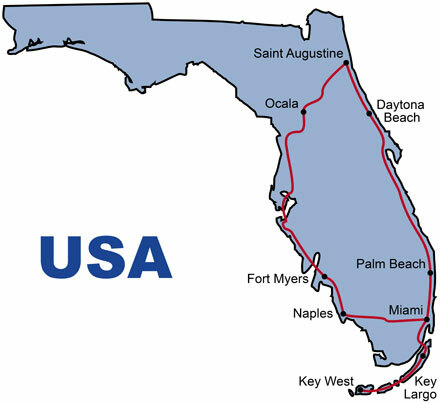 Our round trip starts in Miami and heads over to the most beautiful beaches on the Gulf of Mexico up north to Saint Augustine the oldest European settlement in the region. 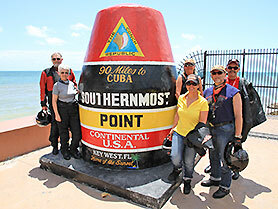 From here you head back south to Miami along straight highways on the fabulous Atlantic Coast. 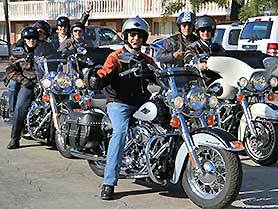 During this motorcycle tour across Florida you will visit natural wonders such as the Everglades National Park and meet dancing mermaids and wild pirates in exciting entertainment shows. Other highlights on this road trip are a visit to the Kennedy Space Center in Cape Canaveral and the legendary Harley-Davidson shop of Bruce Rossmeyer in the motorsport paradise Daytona Beach. Welcome to the Sunshine State Florida! 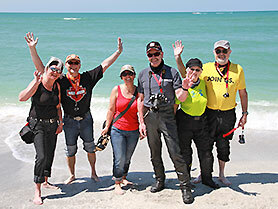 With a welcome drink and dinner we will get ready for your motorcycle dream vacation! 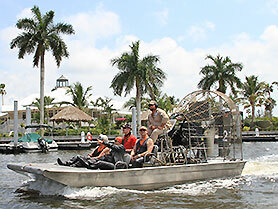 After collecting our motorbikes from the rental office we will be riding west to the Everglades National Park. On our way we will visit the smallest post office in the USA and in Everglades City we will take an unforgettable airboat tour to learn more about the Everglades and alligators. Our overnight stay is in Naples, the wealthiest city on the Golf Coast. A coastal road along the Gulf of Mexico via Bonita Beach and Fort Myers Beach leads us to Sanibel Island - well known for its beach and numerous shells. Highlights in Fort Myers are Edison's Home and Museum and an original American Diner for our dinner. 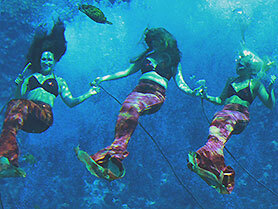 We continue on to Sarasota, Longboat Key and Anna Maria Island in a northern direction and arrive in Weeki Wachee to see the famous show of dancing mermaids. After having been impressed by this amazing underwater theater, we continue on to Ocala, the Horse Capital of the World. 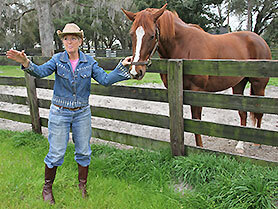 In the morning we will learn more about the magical world of race horses by a farm tour. After lunch we will ride through the Ocala Forest National Park, cross the Saint Johns River (longest river in Florida) and arrive in Saint Augustine, the oldest European settlement in Florida. We will visit the lighthouse and, if possible, take part in a spectacular cruise with a pirates show in the evening. We enjoy the historical Saint Augustine including the famous Castillo de San Marcos, built by the Spaniards. We continue riding along the coast to the world's biggest motorcycle dealer, Bruce Rossmeyer's Harley-Davidson, in Daytona. We will spend the night directly at the legendary beach of Daytona Beach. 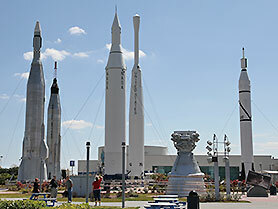 Today we will visit the world famous John F. Kennedy Space Center with its Rocket Park, Space Shuttles and IMAX cinema. 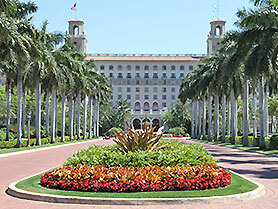 After a ride south we will check in at our hotel in Palm Beach. Late in the morning we will leave Palm Beach. After a shopping tour in Fort Lauderdale at one of the world's largest Outlet Malls, we will continue on to Miami. Today we are on the way to the Keys and pass Miami's Art Deco and Downtown as well as Little Havanna. At Key Biscayne in the Bill Baggs Florida Park with its Cape Florida Lighthouse, we might even see racoons. On our excursion to the Southern Everglades National Park we will experience pure nature. 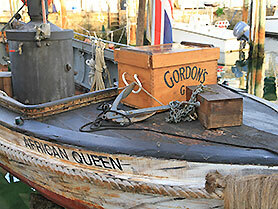 Our overnight stay is booked in Key Largo next to the boat African Queen, well known from the popular Humphrey Bogart movie. Several bridges e. g. the 7 Miles Bridge lead us from one island (Key) to the next and after riding along the Duval Street promenade and visiting the most southern point in continental USA (90 miles to Cuba), we will reach our hotel. The afternoon and evening is free for everybody to enjoy the tropical lifestyle of Key West and the unforgettable sunset at the Pier House Resort. 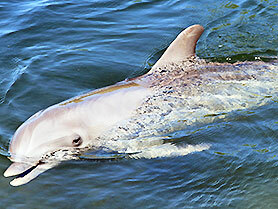 On our last day we will learn more about the important work of the Dolphin Research Center on Grassy Key. Certainly most of you remember the popular TV hero Flipper - today we will meet his grandchildren. In Miami we will return our motorbikes to the rental office and transfer to the hotel. In the evening we will get together for our traditional Farewell Dinner and reminisce about your common Florida dream tour.